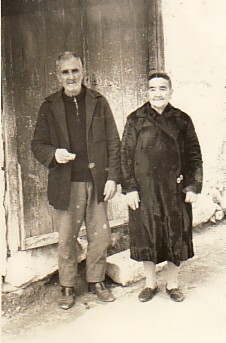 Above: My parents, Efstratios and Marianthi. Above Right: Independence Day Celebrations. 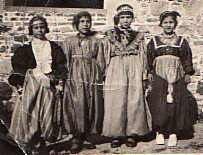 From left, we are: Anna Koulika, Sotiria Karanikola, Katina Kounakoiu and Eleni Moutafi. Circa 1935. 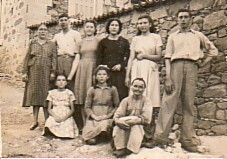 Above: My relatives and friends at the neighbourhood, Koumaso. 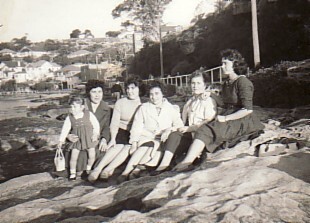 Standing are: my mother's sister-in-law, Marigo; Takis and Stavroula Psouhoulos; my sister, Katina; Vasiliki and Stavros Lafazanis. 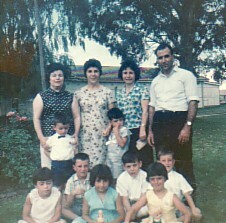 Sitting is my maternal grandmother, Maria Lafazani. 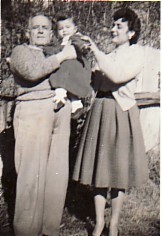 Above Right: With my husband, Arthur, and our daughter, Maria. 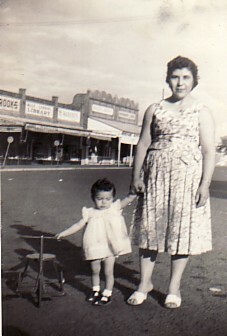 Above: With my daughter, Maria, in the main street of Grenfell. Above Right: Friends in Grenfell. Standing are: Stavroula Kokourovlis (nee: Hatzistefani), myself, Stavroula Soter (nee: Koundouri) and my brother, Haralambos Karanikolis. In front of us are all our children. Above: With friends. From left, we are: myself- with my daughter, Maria; Vasiliki Lafazani, Stavroula Soter (nee: Koundouri), unknown and Stavroula Mavrofora.